You are here: Home / Blog / Having a problem with trouble causers? You will find, especially if your blog gets popular, that trouble will come! What kind of trouble? Well, most likely you will get people who want to cause trouble by using the comments section of your blog. Getting comments is a healthy thing for your site. Getting comments that are in disagreement with each other can even be a healthy thing. Having a little bit of give and take can lead to healthy discussions, a bit of controversy, and a livelier debate happening on your site. Sometimes, though a “bit of controversy” can get out of hand. Sometimes you will get people creating that controversy just for the purposes of making trouble. These kind of people are usually called “trolls” and they will just keep on stirring the pot until such a time as things kind of blow up on your site. They will keep pushing buttons until people become angry. In most cases, it is not about them wanting to argue their point, or even win the argument… they only want to cause trouble. If this happens, what will you do? To be honest, it is quite simple to put a stop to this kind of childish behavior. Keep a close eye on the discussions that develop on your blog. It is something you should do whether there is controversy or not. You should engage those who are reading your site, and by doing that, you will see when people are stirring up trouble. Once you see that a person is egging on others, the first thing to do is put them on moderation. This means that whenever this person tries to leave a comment on your site, the comment is held until you review it first. When you review it, you will be given the opportunity to either approve it, or to block it. If the comment is benign, just approve it and let it become part of the discussion. However, in a case where that comment crosses the line and attacks somebody, make use of foul language or something of that nature, it is time for you to decide what is appropriate for your site. 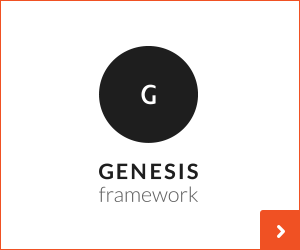 If your site is of a mature topic, you might not have a problem if foul language is used. If you try to run a family type site, then you will probably want to ban such language. If threats of violence are used, you almost surely want to keep those off of your site. To set up moderation for a certain person, it is quite easy. Just click on the Discussion link under the Admin menu. 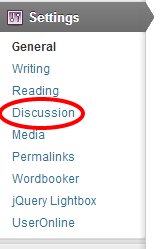 Once you click on discussion, you will see an area where you can moderate people or phrases by entering the name, e-mail or phrase into the box. See the image at left and you will see where to enter that information. What if the trouble keeps on coming? What if despite your efforts to moderate this trouble causer, they just keep on making trouble? Well, you can keep moderating them, although that may be too much of a hassle for you. If you can see that the person really shows no interest in getting along with the community, and you feel like you are spinning your wheels with further moderation, you can actually blacklist the person from being able to comment further. To blacklist the person, just enter their e-mail address in the “Comment blacklist” – something which you will find a little further down the “Discussion” page of the WordPress admin area. Once you enter an e-mail address into this area, all further comments from that person will be dis-allowed, and you son’t have to worry about them anymore. So the trouble causer is gone? Well, not quite. The person who is trying to cause trouble can still set up a different e-mail address and use that new e-mail address to post further comments. You will still need to monitor and just keep on blocking future attempts by this trouble causer. The odds are that after a few attempts at doing this, the trouble causer will move on to some other site that is easier for him to stir up trouble on. Good luck on controlling trouble causers on your site. May you enjoy a healthy conversation, but no trouble!